One of the critical components of your CMS system is tracking of complaints and other important issues. Click here to see what our policy manual has to say about these issues which are related to your overall CMS system. 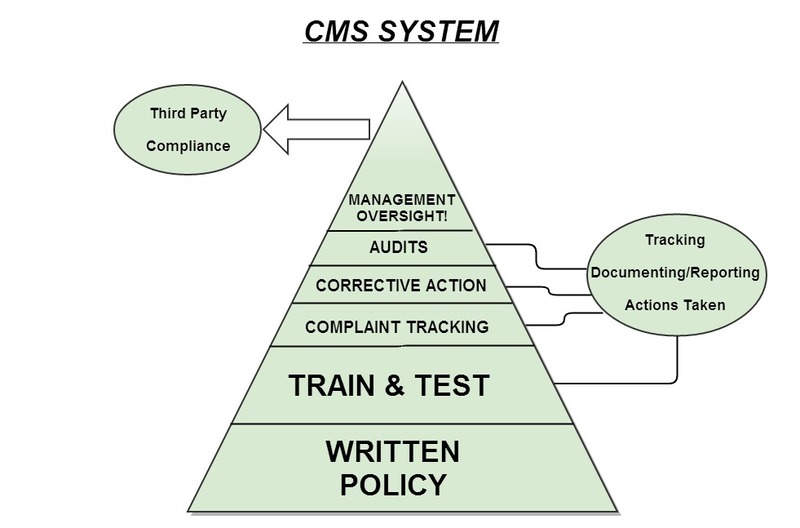 Complaints and issue tracking are intertwined and are an integral part of your CMS system as noted in this image (click image to enlarge). Now there is an automated way for you to track and report complaints and other issues as required with our new iTrack system. This new platform is available to our full compliance members at no additional cost. Click on the image to view a brief video about how this new system will work for you. If you are interested in learning more about this exciting new addition to our CMS program click here and drop us an email.